Segui, Pedro. Illustrator. 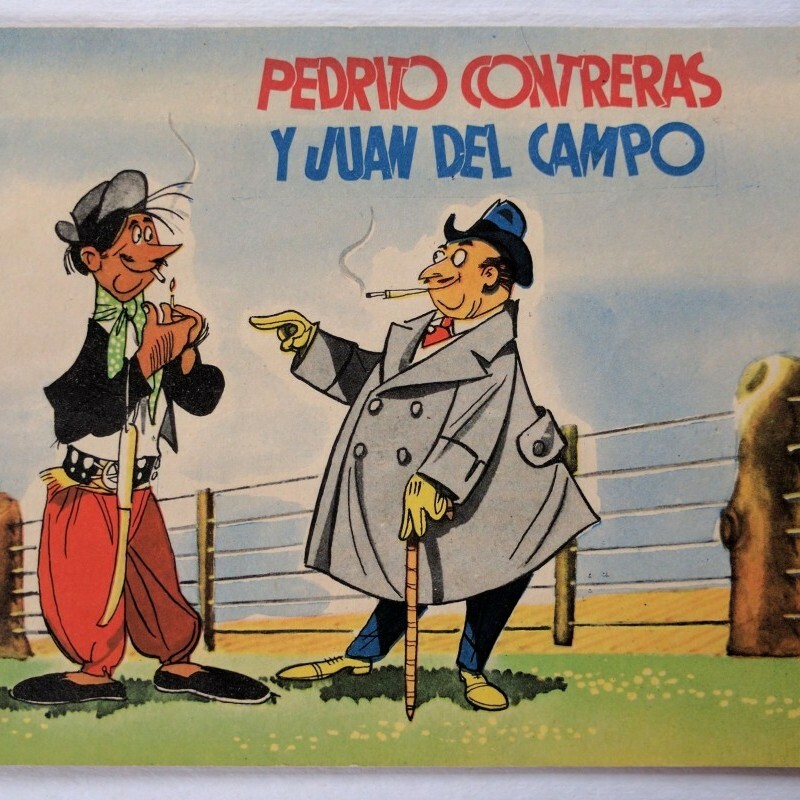 Pedrito Contreras y Juan del Campo. [Argentina]: N.p., . Oblong 8vo,  pp. ; color illus. propaganda narrative with one page marked with English; stapled illus. wrapper, colors bright, lightly worn, very good. 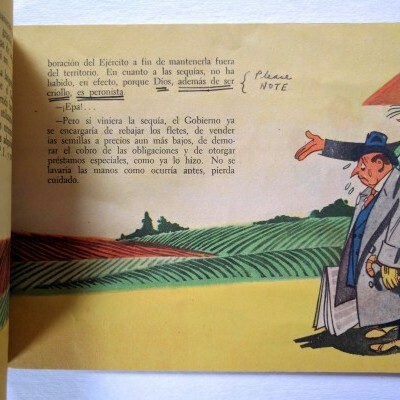 Unusual Peronist propaganda illustrated by humorist Pedro Segui. Text defends Peronist nationalization policies from criticisms following rapid inflation and economic isolation. OCLC lists two holdings: Brown and UMass-Amherst.